Welcome to the Twenty Second Edition of the Owen Guns Bulletin. 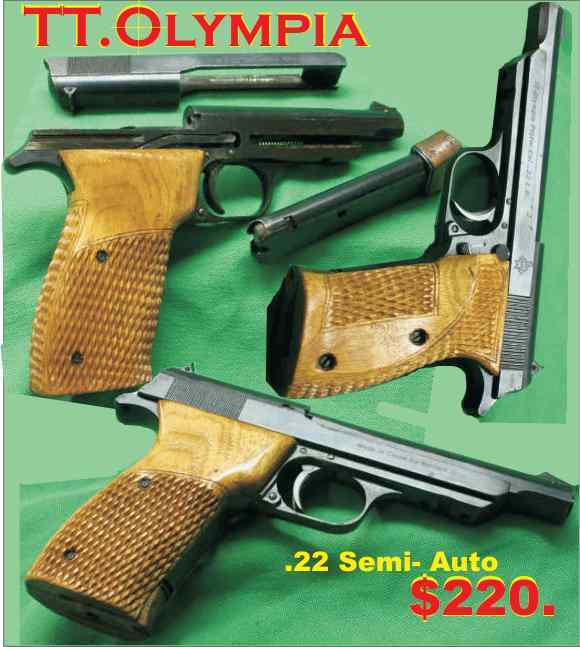 The Norinco pistols are all high quality steel, there is no alloys or plastics they are all carbon steel, except for the wooden hand grips which have been checkered like the original to give the best possible grip, not looks.This batch of hand guns are Brand New never been fired, however they have slight imperfections in the bluing mainly near the corners as shown on the photographs above.They are excellent value. 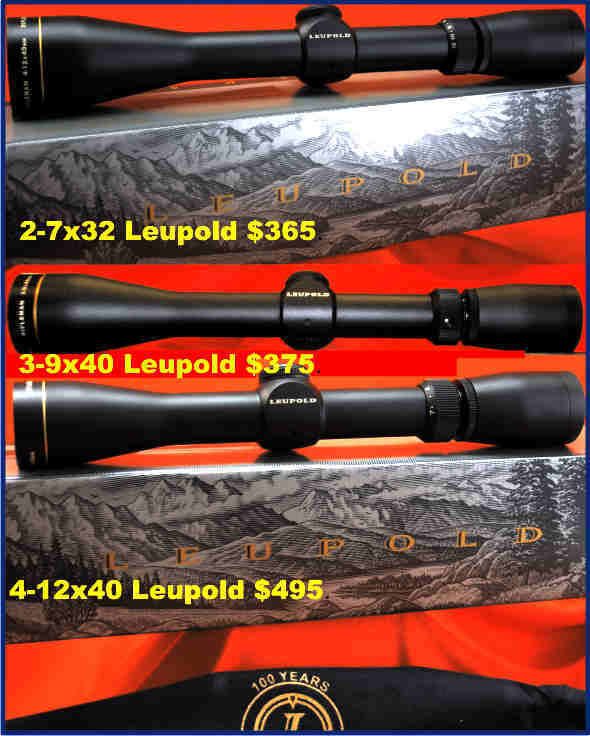 Leupold from $365. 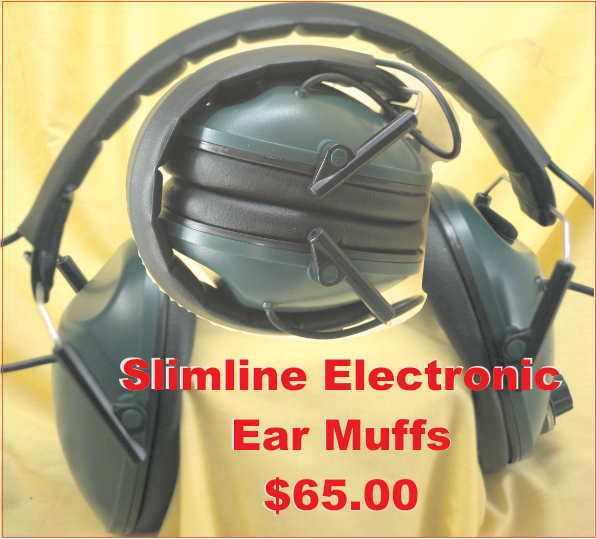 Best Prices in Australia. 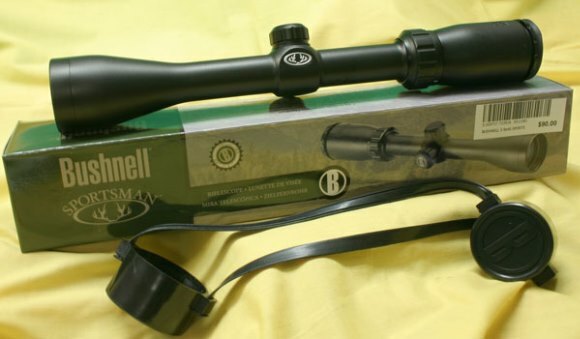 These Asian manufactured rifle scopes made for the big companies in the USA are improving there quality, constantly closing the gaps between them and their Eupropen competitiors. The only thing that seperates most top end scopes these days is the price. Revolvers almost invariably use cartridges of very low breech pressure. Indeed a revolver would be an impossible arm if used with cartridges that even approached the pressures of the more moderate high power rifle cartridges. The regular revolver cartridges seldom exceed 15,000 pounds per square inch pressure. Those that do exceed it, notably the .44 magnum Smith & Wesson and .357 magnum cartridges, are used only in very heavy revolvers constructed of steel of very high tensile strength. This 45-70 revolver still takes a bit of handling even when it is loaded back with Black Powder. Revolver chambers, must be of such dimensions and type that the weapon will function easily and smoothly with finger manipulation alone. The small clearances between chamber and cartridge necessary in rifles are not essential in revolvers, which have relatively much looser chambers and larger clearances, and this makes for easy functioning. Almost all revolver cartridges have rimmed cases with straight bodies and no shoulders, about the only exceptions being the .32-20, .38-40, and .44-40 cartridges which are slightly bottle necked. Chambers for straight centre fire cartridges are cut in diameter and length to easily accept the maximum cartridge case length. At the end of the case portion of the chamber there is the usual shoulder, and forward of this the diameter of the chamber reduces to bullet or groove diameter to the front end of the cylinder. There is no leade or rifling in the cylinder the leade commences on the face of the barrel. 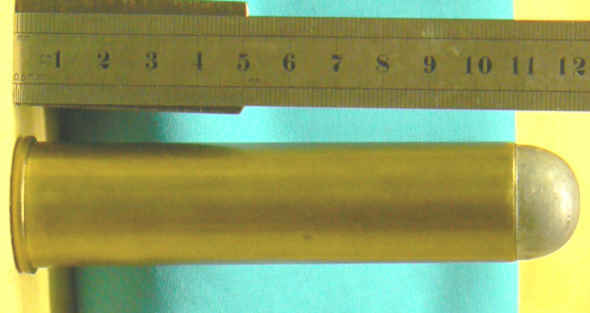 The gap between the rear of the cylinder and the frame is for the rim on the ammunition. The gap between the front of the cylinder and the barrel should be as small as possible, but hot gas always escapes here. Half a Century or more ago we used to just have .22 ammunition in Short, Longs and Extra Longs, then came the .22 Long Rifle which we all know as .22s. This was the rimfire cartridge that everyone identified with, now we have the .22 Magnum and now the .17 HMR. Some call it progress others call it fashion. 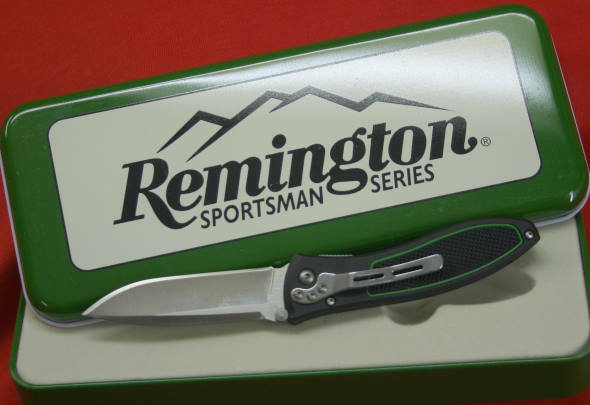 The .22 Long Rifle chamber is cut smooth from rear to front of the cylinder, with no shoulder where the case ends. In years gone bye there was no recess in the chamber for the rim of the case, the forward surface of the rim resting, stopping, and abutting against the rear surface of the cylinder. These days with the availability of high and ultra high velocity 22 long rifle ammunition, manufactures have altered their specifications. Revolvers chambered for 22 Long Rifle cartridges are now recessed for the rim of the case to give side support to the rim, this having been found desirable since the introduction of the high velocity .22 Long Rifle cartridge to reduce liability for finger injury should the head of such a case rupture. This S&W 460XVR Magnum 460XVR has a very high pressure cartridge for a revolver. Headspace is measured from the rear surface of the cylinder to the surface of the frame in rear of the cylinder, and is relatively quite large, with a clearance of about .020 inch over the rim thickness of the case so that the cylinder can rotate freely. Such large headspace is made possible by the light breech pressure of the cartridge. Never Ever Place any part of a human near the cylinder gap. Hot gases escape here. The revolver barrel at its breech in front of the cylinder has a leade very similar to the rifle leade, the extreme breech end of the barrel being groove diameter or very slightly larger than groove diameter, and the lands then starting and sloping forward and up to their full height. This might take your mind of the last line so please go and read it again, as this is what happens when people do not listen to warnings. It is not a shooting accident it is a brain accident. The hand gun was working perfectly. Life is not a game, failure to pay attention has ramifications in all human endeavour. This time the thumb was to close to the cylinder gap. .410 calibre; two and three quarter and three inch. Shotguns are chambered to handle these lengths of shells before they are loaded and crimped. 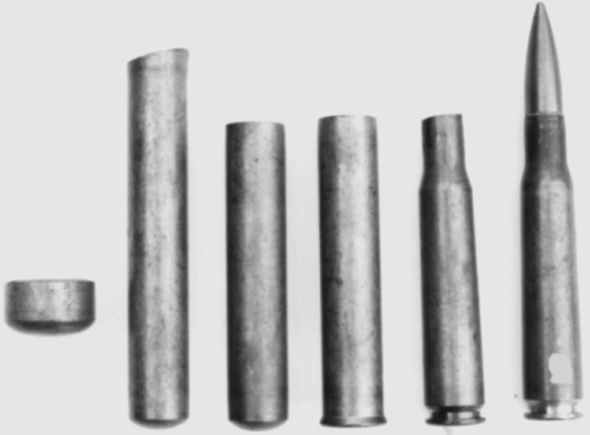 The loaded length of the 2 3/4 inch shell, for example, depends upon the amount and kind of powder, shot, and wads placed in it, and the type of crimp used, but is approximately 2 ½ inches for the standard rolled over crimp. Loaded shells are always referred to by their unloaded length. In firing the crimp is ironed out and the shell returns to approximately its original unloaded length, the forward end extending slightly into the leade of the chamber. Thus the nearly cylindrical or body portion of the chamber is not quite as long as the unloaded length of the shell. Diagram 11. A standard 12 gauge chamber. Diagram 11 shows a typical chamber for a 12 gauge 2 3/4 inch shell. 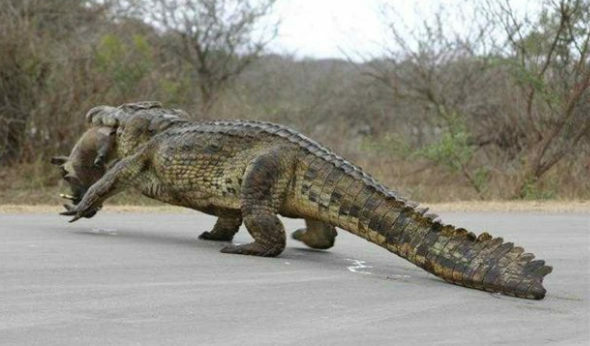 Note that the body diameter is 2.6136 inches long, and the length of the leade which is sloped on an angle of 5° 3’28” depends on the exact bore diameter, which later diameter in quantity production may vary several thousandths. The shell, when it is ironed out by firing thus extends about .136-inch up into the leade. The conditions resulting from this particular type of chamber have been found by many years of experience to deliver the shot charge from the shell into the bore with the greatest uniformity and with a minimum of deformed shot pellets. Aluminum and plastic cases (as well as combinations of the two) have been tested and found lacking. At one Ordnance test it was reported how the aluminum 7.62mm NATO cases functioned fine, but occasionally would generate a thermite reaction in machine guns. This means simply that the aluminum case itself caught fire, burning with sufficient heat to nearly melt the gun in half! Plastic cases are used successfully for some purposes. 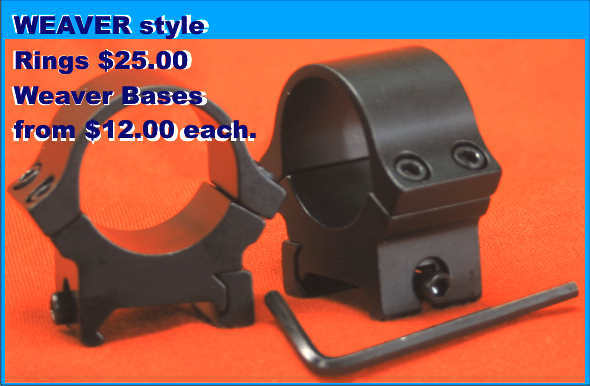 Several firms produce them in pistol calibers for short range shooting with plastic bullets. Little or no powder is used, the primer alone often providing the propelling force. Wax bullet practice loads (no powder) are sold by Colt’s in plastic cases. Plastic case pistol blanks and shotshells have been produced by the Alcan Co, and some European firms produce varieties of plastic case blanks. Super Cartridge Company for many years, (before George Lansall retired) made excellent one piece plastic 12 gauge shotshell cartridges. They were similar to the Winchester Mono hull which both Super Cartridge and Winchester fought a famous High Court action about. I sold hundreds of thousands or maybe millions to happy customers over a twenty year period. They had draw backs with some pump shotguns as sometimes a thin extractor would just cut the through the plastic rim leaving the case in the chamber. I being what is called in Australia a “Cheapskate” reloaded them sometimes ten times or more and even when they became old, worn and brittle, leaving only the bottom section of the case to eaxtract the front part always succeeded in turning the clay target into dust anyway. I would always be happy to use one piece plastic cases again as they were successful in all guns with a half moon or broad extractor. So far, plastic cases have not been successful in full charge rifle or pistol cartridges. Caseless cartridges have been developed for military use but to date none have been good enough to achieve full adoption of any country in the world. Almost invariably they consist of a propellant mass held together by a combustible binder or shell. The bullet is fitted to one end of this mass and a pellet of priming compound to the other. 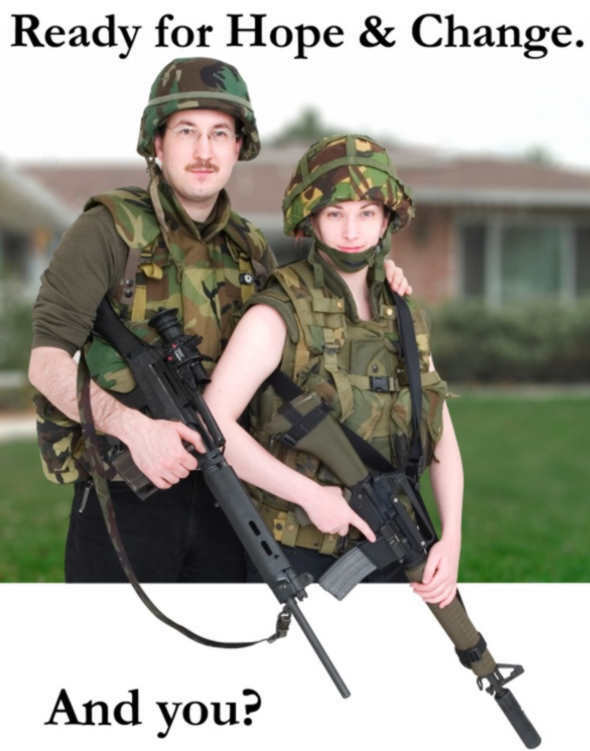 Up to now no such cartridge has been developed which can successfully withstand the forces applied to them in automatic and semi automatic rifles. Since lightweight caseless cartridges greatest value lies in military usage, and no manufacturer has yet been able to satisfy the Military’s stringent requirements this has kept them out of the commercial market. As the Brass cartridge case has many advantages it seems destined to be with us for a long, long time yet in spite of being nearly 140 years old. The entire arms industry is based on it, and even if something better were to be developed, a changeover would be a long, costly process. I hope I am wrong but I predict that anyone who is a reloader in 2009 will still be loading his last round in the same tried and trusted brass case we’ve known all these years. Manufacture of the shiny, modern, solid head, externally primed brass case that makes reloading possible is fascinating. I have been fortunate enough to have visited ammunition manufacturers and watched almost spellbound as the automatic presses and other machines clatter away and spit out streams of hot cases which in turn are fashioned into dozens of calibers. Any drawn, as opposed to extruded, case begins life as a roll of high grade rolled sheet brass. “Cartridge brass” is a specific alloy developed over the years and is so named in the metals trade. Olin (owner of Winchester-Western) used to be the largest producer of this metal and supplies it to many other cartridge makers. Typical of cartridge brass formulas is this one intended for a .30/06case, 68-71 per cent copper; 29-32 per cent zinc; .05 per cent (max.) iron; .07 per cent (max.) lead. Traces,no more, of other impurities are allowed so long as the brass meets all physical property requirements. Photograph shows each different drawing in the 30-06 case manufacture. Most case drawing plants conduct their own analytical and physical tests on new lots of brass received, even though the material may be “certified” by the supplier. Since this is the most important single material in the cartridge, its quality must be assured, at any cost. The formula mentioned above, while typical, is best for only some calibres. A formula suitable for .30/06 is perfectly satisfactory for .270 cases, but would not necessarily be used for small rifle or short pistol cases. Different formulas are specified for different cases, dependent to a great extent on the depth and number of draws. The brass sheet ranges from 3/32″ to 1/4″ in thickness. Since drawing cannot increase thickness, the stock must be at least a bit thicker than the greatest thickness of the case web. Brass is fed into automatic punch presses equipped with multiple dies. Circular discs are punched out, varying from ten cent piece size up to 2 inch 1/8 th diameter for the hefty .50 calibre cartridge. As they come from the sheet, discs (slugs) are forced on through a second and smaller portion of the die and drawn into shallow cups. This first operation is known as “blanking and cupping,” and the piece produced is called a “cup” until it becomes a finished case. Cups are sometimes purchased direct from the brass source by smaller case manufacturer plants. Punches and dies are arranged so that the cups are punched out in a staggered layout to hold brass scrap to a minimum. The perforated waste is automatically cut to manageable size and sold as scrap. In times of metal shortages it is usually returned right back to the sheet producer to go into his next melt of cartridge brass. Brass becomes hard and brittle as it is worked. For a graphic example of this, compare the neck of a case that has been resized and reloaded many times with one that is new. The former will be quite hard and springy, while the latter is soft and easily deformed. This phenomenon is called “work hardening” and is actually used to contribute to the strength of the completed case. Work hardening makes it necessary to anneal (soften) the cup at several stages of manufacture. Many years ago it was necessary to anneal after every draw, but techniques have reduced that requirement somewhat. Annealing is accomplished by feeding the caps through a gas fired furnace, then quenching them abruptly in a mixture of soap and water or drawing lubricant and water. Prior to every drawing operation the cups must be lubricated. After cupping, the cups go to “first draw.” Here they are forced through a slightly smaller die which reduces their diameter and deepens the cup, at the same time reducing the wall thickness. The thickness of the bottom of the cup remains unchanged. The drawing process may be repeated as many as four or five times, depending on the case to be produced. Each draw reduces diameter and increases length, at the same time reducing wall thickness and giving the interior case the profile it needs. Each time it is drawn through a slightly smaller die which reduces their diameter and deepens the cup, at the same time reducing the wall thickness. The mysteries of the drawing process are disclosed far more clearly in the accompanying photograph than by text. When the cup is long enough, the bottom is “bumped” nearly flat, at the same time forming a rough primer pocket. The uneven mouth is trimmed back to clean it up. At this point the cup is slightly longer than a finished case and is ready for forming operations. The cup is pressed into a die by a close fitting rod that enters its mouth. While supported by this rod, a “bunter” die slams into the outside of the base. Several things happen at once. A protrusion on the bunter drives into the thick brass of the cup base (now becoming the case head) trapped between the support rod, holding die, and bunter, all excess flows outward from the primer pocket. Space is allowed for this and the excess brass is placed in the cup deliberately. This flow of excess brass produces an oversize rim on the case, regardless of whether the case is intended to be rimmed or rimless. If the case is to be of belted type, the holding die contains a counterbore to match belt dimensions. The bunter also forces brass to flow into this counterbore to form the belt. Cups for belted cases contain more brass than others to insure there will be plenty to fully form the belt, as well as the very thick web characteristic of the type. From bunting, the cases go to a head turning (sometimes called head trim) machine, sort of an automatic lathe. An air actuated punch shoves the case mouth first into a chuck or collett which closes automatically to grip the case. The chuck spins rapidly and a formed cutting tool advances automatically into the case head, turning it to shape. If the case is rimless, the excess brass rim is cut off completely, the extraction groove cut, and the rear face of the head lightly bevelled. If a rimmed case, the cutting tool is shaped so that it merely true’s up the rim to proper cross section, thickness and diameter, then perhaps cuts a clearance groove just ahead of the rim. Rim thickness of rimmed cases is a critical dimension since it controls headspace. For this reason, the head turning operation is watched closely. The brass now begins to look more like a cartridge case than the wife’s lipstick container, which it has resembled to this point. From head turn, the case goes to tapering. It is forced into a die which squeezes the thin brass walls down to establish correct body taper. Aside from its outside dimensions, this die is much like those you use to resize fired cases and it functions in exactly the same manner. The case goes next to a necking and shouldering operation. Proper dies shape the shoulder and neck to final dimensions. 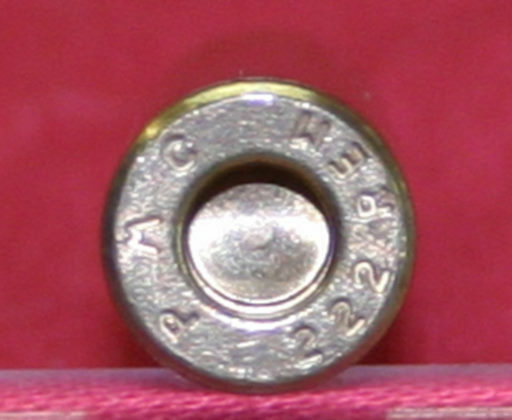 Some large diameter, small calibre cases with a sharp shoulder (the .264 Winchester is an excellent example) require more that one operation to accomplish this. just as in drawing the cups, only so much movement of brass can be done at one pass. The case is now complete except for minor, but necessary, details. It must receive its neck anneal. Necking and shouldering hardened the brass. It must be softened so that it can later grip a bullet securely without cracking or splitting from the strain. Annealing produces a bluish brown discolouration of the surface. This is polished off commercial cases, but left on those for military use. It must be pointed out that previous working and annealing have been regulated so that the final bunting operation produced the required hardness in the case head. After the neck anneal the case graduates from very hard (for brass) at the head to quite soft at the neck. Crystalline structure at the head is small, dense and compact. At the neck it is large and irregular, with uniform transition in between. The case is still just a trifle too long, so the surplus is removed from the mouth in another automatic trimming machine. The case is now complete, ready for delivery to the priming machine. You may have noticed that we’ve not mentioned punching the primer flash hole yet. Virtually all American produced cases have this hole pierced on the priming machine. Cases are fed mouth down into a track that holds them by their rims. Fingers grip the case head and a rod rises inside from below to support the web. A thin steel punch plunges through the web to form the flash hole. The case moves on down the track where a probe drops into the flash hole. If, for some reason, the hole isn’t there, the probe strikes the web and stops the machine. If the probe drops through the hole, the case continues on. A swinging arm picks up a primer from a feed device and carries it over into position directly over the primer pocket. As the case is held by fingers, a punch presses the primer part way into its pocket and the arm swings back for another primer. The case then passes on to where another punch seats the primer fully. If the case is part of a military order, it then meets a hollow punch which forces brass in over the curvature of the primer to secure it tightly in place, then a drop of lacquer is applied to completely water and oil proof the joint. These last two operations are not normally performed on commercial cases. Those who used to wonder why it is sometimes difficult to obtain unprimed cases should now understand the problem. It is possible to leave the primers out, but the machines are geared primarily to prime cases and any change interferes with the smooth work flow of production. So there it is a complete, primed case in all its virginal brightness, ready for delivery to the loading machines or for packing and shipment to reloaders. During all those operations cases are subjected to continuous gauging and visual inspection, any not meeting the specific rigid specifications are sent to the scrap barrel. 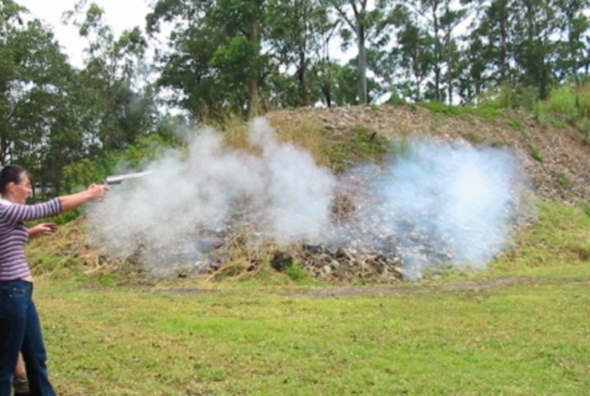 A percentage sample of each lot of cases is subjected to strenuous firing tests, including reloading. Until it passes these tests, the batch cannot be released for either loading or sale. The manufacturers protect their name and your life by all these extensive testing and inspection procedures. This is why you must check every case before reloading. It does not just happen in PMC it can happen in any brand. Once a primer has been placed and you have reloaded a few hundred of that batch. it is a problem that is difficult to find and fix. You have now read all the information and understand some of the huge engineering feats that go into cartridge case manufacture, here is the message. 1. After all that expense, work and care do not waste them, even if you cannot be bothered reloading those masterpieces give them to someone else to reload or store them until you have the time or money to do it yourself. 2. Even though the cartridge case manufacturers take many checks and tests, Always check, “Visually Inspect” the cases you intend to reload. Sometimes the probes do not work, sometimes there may be a minute hole or crack, sometimes there could be a problem that has never occurred ever before to anyone. It is better to find it out at this stage of your operations. New cases can sometimes be made without a primer pocket hole, without a full rim or without a groove. Unless you have some very Hi Tech machines “Visually Inspect” them. It may save you broken loading tools it may save you having a box of cases with a hole in them and having the powder leak out or it may save you the embarrassment of slamming a round up the breach firing it and having nothing for your extractor to pull it out with. Meanwhile the 600 pound of muscle bone and sinew that has been wallowing in a clay bog all morning is highly angry when the nasty bullet brakes up on the half inch of baked clay stuck to his rump and charges for the two legged humanoid who is waving a stick at him. When the wild angry pig, who is becoming to look the size of a rhinoceros uncle, has its eight inches of razor sharp tusks millimetres from your groin. Somewhere in your mind will be the repeat of this message. “Always inspect your cases”. 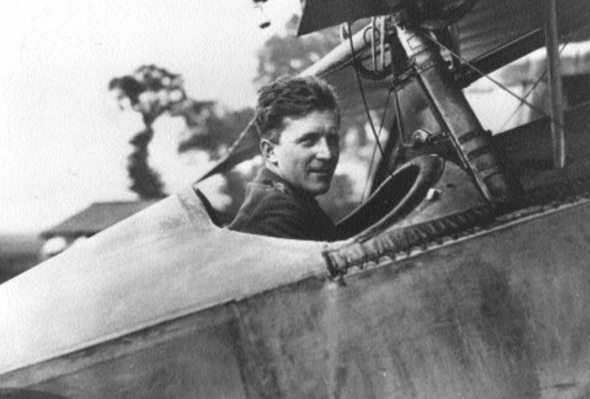 William (Billy) Bishop V.C. always checked his ammo. Billy Bishop V.C. the Canadian First World War Ace with 72 victories, who was one of the very few who survived the war. When asked why he had survived, when most had not? Put it down to, ‘Attention To Detail” besides practising, by taking up tin cans, throwing them out of his open bi-plane and shooting them full of holes before they hit the ground, again and again, he personally checked every last one of the rounds of .303 ammunition in every belt or magazine before take off. He knew a jam or blockage could kill him. Next Edition Inspecting Used Cartridge Cases. Pig Hunting is quite competitive in Northern Terror -tories. You would want to make sure that you had your shooting licence in good order if you met that on a dark night. The first thought has to be for those who may have emailed in with a questions or a request and not yet received an answer. One of the reasons for that may have been an over zealous spam checker, which makes it impossible for me to answer emails that do not get through (currently fixed) and another reason may be that on some days I am receiving and dealing with over a 100 emails a day and human error could cause me to miss the vitally important email, yours. If you do not receive an answer from me within a few days please send again. It is nothing personnel, there is only one of me to answer the questions and all at Owen Guns have been very busy. Some of the products advertised in the last Bulletin were sold out within 24 hours of the email going out. We are still packing and dispatching items advertised a fortnight ago. Why are we and all other Gun Shops in Australia so busy? Well there is information being distributed by the Shooters Party stating that in the State of NSW they have had to issue 100,000 extra Shooters Licences in the past 12 months. I say, ‘had to’, as I imagine like most Police, in most Police States they are trained to knock back as many applications as they possible can, either it’s a case of, “I have to prove I’m doing my job”, or “we only want his application money,” or “we do not want more in the system or we will have to get a bigger system” . The general increase in applications and issue of new licences in all Australian States is even bringing out adverse comments from ‘Gun Control Australia’, that is quite heartening as they know that when enough of the population have had to struggle with the ‘mind numbing’ useless process that the re-action to that, will have an effect at the polling booths and then there game is over. 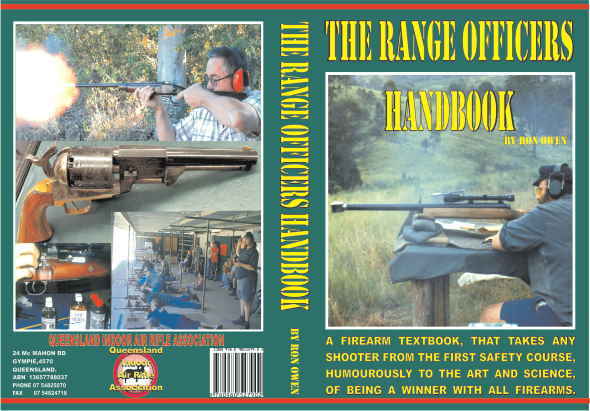 Strong rumour has it that there is a similar increase to NSW in Queensland, if we can recruit enough new shooters into firearm ownership maybe we can get Gun Laws like Montana. The Montana Firearms Freedom Act, also known as Montana House Bill Number 246, was introduced January 13, 2009 by Joel Boniek, Gerald Bennett, Edward Butcher, Aubyn Curtiss, Lee Randall and Wendy Warburton. The Bill was signed in to law by Governor Brian Schweitzer on April 15, 2009 and will become effective October 1, 2009. The law exempts firearms made and kept in the state of Montana from United States federal firearms regulations. It also has no requirements for registration, background checks or dealer licensing. It applies mostly to non-military types of firearms, along with ammunition and accessories such as silencers, provided that these items are manufactured in the state, and do not leave the state. It makes several references to a contract made between the United States and the state and people of Montana. It goes on to say the United States agreed to the compact and it was adopted by Montana and the United States in 1889. The legislature declares that the authority for this law is derived from the Second, Ninth and Tenth amendments from the Bill of Rights to the United States Constitution. This, respectively, reserves to the people the right to keep and bear arms, guarantees to the people rights not granted in the Constitution and to the states and their people all powers not granted to the federal government elsewhere in the constitution. The law also states that Article II, section 12, of the Montana Constitution prohibits government interference with the right of individual Montana citizens to keep and bear arms. 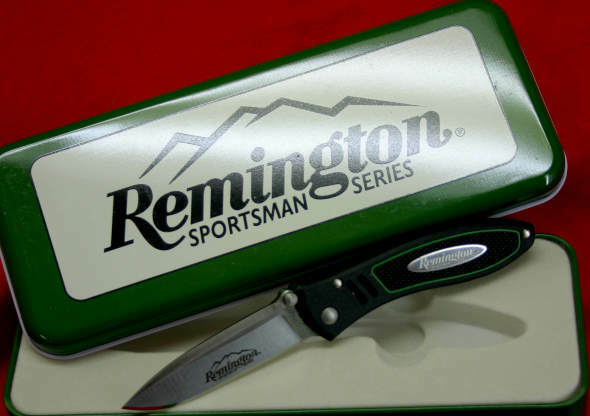 This section defines, the borders of Montana, what firearms accessories, as well as, generic and insignificant parts are and defines what manufactured means in relation to this law. This law prohibits federal law or federal regulation on any personal firearm, a firearm accessory, or ammunition that is manufactured commercially or privately in Montana and that remains within the borders of Montana. However, this law does not apply to a firearm that cannot be carried and used by one person, a firearm that has a bore diameter greater than 1½ inches and uses smokeless powder, ammunition that uses exploding projectiles or fully automatic firearms. 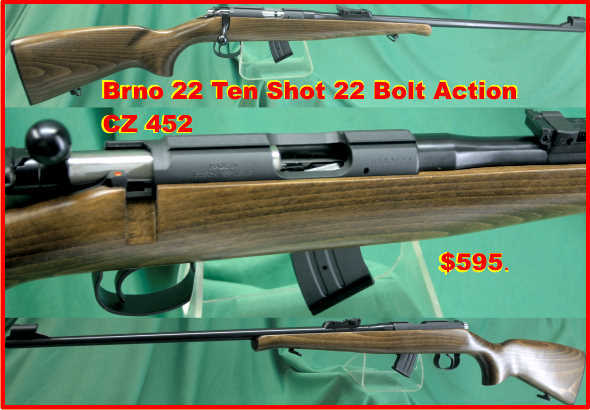 Applicable firearms must be clearly stamped “Made in Montana” on a central metallic part. This law has been assigned Chapter 205 in Title 30, of the Montana Code Annotated. This law will be come effective October 1, 2009 and will apply to the items defined manufactured after that date. The drafters of the law intend setting off a legal challenge with the Bureau of Alcohol, Tobacco, Firearms and Explosives. Currently only Montana and Tennessee have passed these bills into law. However Texas, Alaska, Utah, Minnesota, South Carolina and most recently Florida have introduced similar Bills. Supporters assert that the legislation is really about curbing excessive Federal regulation in areas such as education, animal management and interstate trade. On July 16, 2009, the Bureau of Alcohol, Tobacco, Firearms and Explosives published an open letter to Montana Federal Firearms Licensees, clarifying the Bureau’s position on the Montana Firearms Freedom Act. According to this letter, “… because the Act conflicts with Federal firearms laws and regulations, Federal law supersedes the Act, and all provisions of the Gun Control Act and the National Firearms Act, and their corresponding regulations, continue to apply.” The letter then summarizes ATF requirements for FFL holders. Executive Summary – Gary Marbutt of the Montana Shooting Sports Association issued a rebuttal letter regarding the BATF letter sent to the federally licensed Firearms dealers in Montana. The four main points in his letter is found below and needs no further explanation. 1) The letters are addressed only to FFL (Federal Firearm Licence Holders) and purport to assert authority only over those licensees already under the federal thumb because of their licenses. 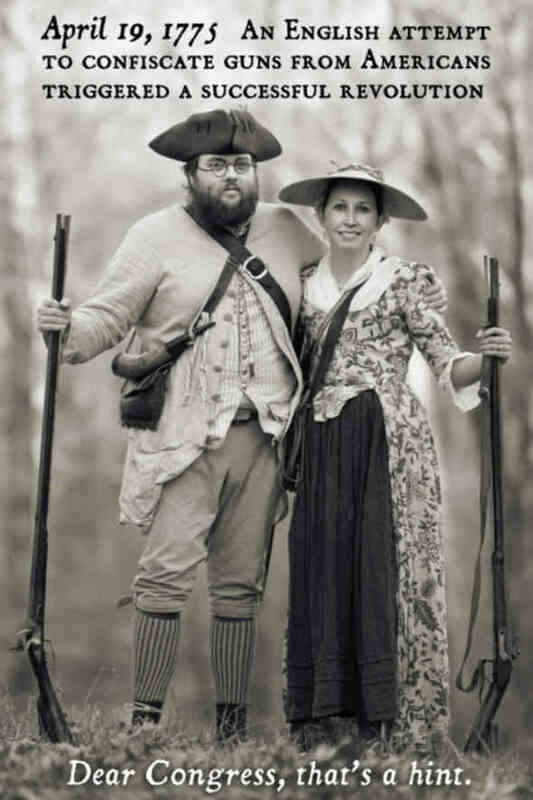 We’ve always assumed that people with existing FFLs would not be players in the State made guns exercise because they will not wish to risk thwarting the earned reputation the BATFE has for vindictiveness. The letters are not addressed to non FFLs, those folks who are potential participants in the State-made guns business. 2) The BATFE letters may lack any official import because they are not signed by the official who appears in the signature block, but by some unknown other person. It’s difficult to place much credence in a missive upon which the purported issuing person is unwilling to put his signature, and for which the signer is unknown. 3) The essence of the letter is a declaration that the laws that the BATFE enforces supercede the U.S. Constitution and the Tenth Amendment. I understand that the BATFE hopes that is so, but that’s far from proven yet. 4) The letters, if they are official even though unsigned by the issuer, will help us establish standing to get this issue squarely before the federal courts. The Feds have thrown down the gauntlet. I know a few manufactures of Firearms and Accessories that are already planning to relocate their businesses to one of the above States. State Rights was the real cause of the last Civil War in America and by the sound of it could be the cause of the next. Obama may not have the same sort of fortitude as Abe Lincoln and there is no doubt which side the Firearm Trade will fully support. The Australian States have sole control of Firearm legislation under the Commonwealth Constitution unless they unanimously agree to secede this power to the Federal Government. Why can we not find Australian legislators with the same sort of back bone and guts as our American cousins? I would contemplate moving to Montana but these cold Queensland winters are bad enough, until Global Warming actually warms, I am staying in the Sunshine State. Operators Instruction Manual for Ruger Model 10/22 Carbine, Assemble Dis-Assemble Maintenance Exploded Diagrams General Data, Remember, one of the guns you used to own.